Featuring Gary Brueggen on the concertina throughout this CD! Do you like concertina? Here is one of the finest concertina players in the business today. Gary Brueggen has been playing the concertina for decades. 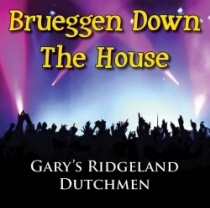 Check out the latest by Gary’s Ridgeland Dutchmen. Don’t pass this CD today!